The compact course intents to give a broad overview of the financial industry, its instruments and markets with a quantitative focus. It addresses the valuation of standard financial instruments - e.g. options – and portfolio theory in more detail. After the course you should be able to decide whether to go deeper into a specific area of quantitative finance. Basics in differential-equations, numeric calculus and stochastic processes are helpful but not a must. Bring your laptop with you. Learn how to analyze signals from time series, images, and any kind of multidimensional signals and to apply it to problems in natural sciences, life sciences and technology. 1. Basic knowledge in Unix / C or Fortran. 2. Bring along a laptop with wireless access via eduroam. 3. You need to have access to the bwUniCluster or the bwForCluster MLS&WISO in Heidelberg/Mannheim. Please note that having access to a bwForCluster other than MLS&WISO is not sufficient! Learn to think and program highly parallel. – positiven - Eindruck zu hinterlassen. Bewerben ist wie flirten: Wer zu langweilig und 08/15 ist oder den falschen Ton trifft, wird abgewiesen. Daher gilt es in den richtigen Momenten zu punkten und sympathisch die Herausforderungen zu meistern. Gerade unter Druck gilt es souverän zu bleiben und Akzente zu setzen. mehr Auswahl und einen höheren Ertrag. - Die typischen Stressfragen und die typischen Fehler des Bewerbers. - Das Vorstellungsgespräch aus beiden Perspektiven beleuchtet. - Worauf achtet ein Personaler? - Wie viel Gehalt kann ich verlangen? - Aus der Masse hervorstechen. - Im Stressinterview unter Druck cool bleiben. - Gekonnt die Gehaltsfrage klären. Die Bedeutung der Mentalen Leistungsfähigkeit nimmt im Wandel der kognitiven Anforderungen einer modernen Arbeitswelt stetig zu. Der Zusammenhang von psychomentaler Überlastung und kognitiver Einschränkungen wird häufig unterschätzt, besonders bei Menschen mit hohem Leistungspotenzial bzw. im Rahmen anspruchsvoller beruflicher Tätigkeiten. Es wird im Vortrag dargestellt, wie die kognitive Leistung gefördert werden kann sowie die Folgen stressbezogener Belastung minimiert werden können. In der Einführung werden, je nach Vorkenntnissen der Teilnehmer, theoretische Aspekte für das Verständnis des Themas vorgestellt. Es werden ebenso neuere wissenschaftliche Erkenntnisse im Rahmen des Vortrags berücksichtigt werden. Zwei Techniken aus der Hypnotherapie werden praktisch eingeübt. Sollte es der zeitliche Rahmen erlauben, können die vorgestellten Übungen an den persönlichen Bedürfnissen angepasst werden. Praxis und Theorie werden in 90 Minuten inhaltlich auf einander abgestimmt. The short course addresses the improvement of medical health with respect to the treatment of the human respiratory system as well as that of cerebral aneurysms with flow diverter stents. Different views from representatives of the Medical Schools as well as experts in computational fluid dynamics and from aerosol devices enlighten the problems and their solutions with new treatment options. To give an application oriented introduction to modeling, optimization and control of mechanical systems with a focus on complex multibody systems in robotics and biomechanics. To introduce computational tools to perform these tasks and apply them to examples in the computer exercises. While the lecture focuses on the theoretical and mathematical foundations of the field, the computer exercises serve to teach the usage of software tools for modeling, visualization, simulation and optimal control treating different example problems. The students understand fundamental and advanced concepts of computer graphics. They understand the mathematical fundamentals, data structures, and implementation aspects. They get to know raster graphics, geometric transforms, color perception and color models, and basics of geometric modeling. The students are able to apply these concepts to real-world problems using existing software packages, and develop small programs using OpenGL 4. Acquiring basic knowledge in Computer Graphics. - are able to model and solve difficult application problems with appropriate algorithms. programming model of MPI. GASPI, which stands for Global Address Space Programming Interface, is a partitioned global address space (PGAS) API. powerful API (see also www.gaspi.de and www.gpi-site.com). GASPI is successfully used in academic and industrial simulation applications. scientific training in Computational Science, and in addition, the scientific exchange of the participants among themselves. Please note that for the excercises the user needs to bring an own laptop and to already have access to either the bwUniCluster  oder the bwForCluster MLS&WISO Production  in Heidelberg/Mannheim. Please notify us in case of any problems. The course language is German (the slides are in English) or English if required. Machine Learning is the science and art of extracting meaningful information from data. In supervised machine learning, we use a training set of annotated examples to teach a computer to make valid predictions, or to reliably recognize items. In unsupervised learning, we use computers in an exploratory fashion, to discover interesting patterns in data. Machine learning and pattern recognition are currently taking center stage in applications ranging from autonomous driving to social network analysis and drug development. If you join, you will conduct a literature search on your topic, give a 45 min talk and summarize its contents in a report. You will receive 6 ECTS points and a grade based on: content of your talk (1/3), presentation (1/3) and quality of your report (1/3). This is a "Pflichtseminar" that is eligible towards the specialization in Computational Physics. Deductive logic is the tool of choice when premises are or are not true. This seminar will focus on a generalization of logic when the aim is to maximize our expected utility in cases where a premise holds only with a certain probability. In other words, we will study how to make optimal decisions under uncertainty. This relates to important problems in reinforcement learning, control theory and game theory. Your goal is to learn how to develop a scientific project into an innovation. Along the question of how to become an Entrepreneur we enlarge your abilities in project-management, presentation and handling unknown situations. Saturday, 05.11. 9:00 Uhr bis 17:00 Uhr. 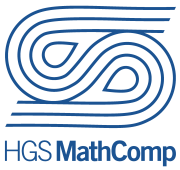 Prerequisites: The course is open for all actual or former members of MathComp and the HGGS who are interested in getting new skills. von Möbeln für die neue Wohnung.